I myself and my family had a lot of difficulties, during which time I met a girlfriend who promised to sponsor me through the US to work for a while to make money on a difficult deal. As promised, a time later her family told me to sponsor me to work in the US. In the United States for a month, she said she was having trouble with Visa (I do not know if it is true or just her reason) so I can not stay in the US. She said that if she wanted to stay in the US, she would marry her (she was 54 years old, she was 13 years older and twice divorced, and I never married). When I heard her say so, I was thinking a lot, because I really did not love her, and finally there was no other choice but to stay in the US to work to make less money to help her parents cure and I have agreed to marry her (before going to the US she told me to apply for a bachelor certificate in Vietnam). 1. Does she say that is exactly what US law says and what are the divorce procedures in the United States? 2. 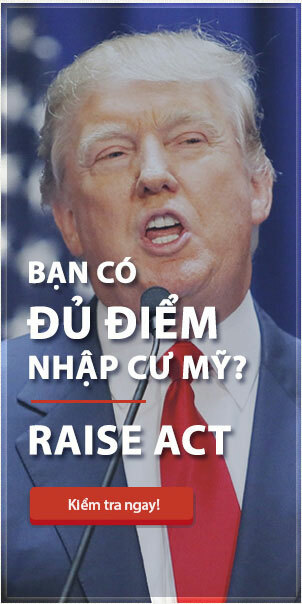 If she does not accept a divorce, when I return to Vietnam to register my marriage with another person, will the Vietnamese government know if I am married in the US? in Vietnam). I really look forward to SG VISA’s advice and give me advice on how to solve it. I sincerely thank. Thank you for sharing the difficulties you are experiencing in the lives of newcomers in the United States and the legal challenges to continue your residency status and take another step to get there. get married life with the person you love. SG VISA would like to analyze, from the perspective of US government officials, some points related to his case for us to better understand and help find the most practical solution. According to information he shared, the first suspicious thing was that when applying for non-immigrant visa, he was not honest in his file and testimony with the US Consulate General (LSQ) because he did not use The visa is valid for the purpose of declaring that it will not be resident in the United States. However, if you enter the United States on a fiancée visa, you must be registered for 90 days from the date of your migration. If you have entered the United States on a non-immigrant visa, usually a tourist visa, you have made a mistake with what you committed to LSQ, because after a period of temporary residence in the United States, you posted and his marriage was not for love but for other purposes – to legitimize his settlement and work in the United States. The second point to suspect is that his marriage was not for love but for the purpose of settling, especially since she had two marriages before coming to him, and this would most likely lead to Citizenship and Naturalization The USCIS investigates the marriage and where he lives, and if USCIS determines that his marriage is not for love but for immigration purposes, they will likely expel him if he does not. become naturalized and become an American citizen. If USCIS investigates your marriage, they will focus on your spousal relationship, and what is noticeable is the age difference between you and your spouse. At the same time, they will also be interested in your daily activities to clarify whether your marriage is real or just a scene to help you maintain your presence in the United States. .
With his second question, do Vietnamese government officials know that he is married in the United States because he has been a permanent resident of the United States before he has married a Vietnamese citizen? Single during his stay in the United States. You can go to LSQ in Vietnam and sworn that you are single to submit to the Department of Justice of Vietnam to register your marriage with a Vietnamese citizen, but you will be blamed if you do this when the work. Divorce in the United States is not complete. At the same time, he will be guilty of polygamy if he succeeds in getting married in Vietnam. So if USCIS knew he had committed perjury and violated the polygamy law when he was still a permanent resident of the United States, he would most likely be deprived of his permanent residency and deported from the United States. SG VISA, we advise you to carefully think not to divorce but still return to Vietnam to marry another wife. In the next post, SG VISA will share knowledge to help married couples or fiancé prepare their petition and some experience to help newcomers to settle in the new life easily integrate into new life without Dependent on the guarantor. If you and other interested readers have questions about other immigration issues, please contact SG VISA for more specific and accurate advice. Wish him soon to get what he wants. Unilaterlly cancel the guarantee easy profile? Why do my family keep failing visa? Wife insurance party members star hard?